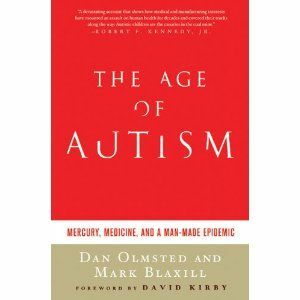 The Age of Autism: Mercury, Medicine, and a Manmade Epidemic, a new book by Dan Olmsted and Mark Blaxill, goes on sale today. I interviewed Olmsted and Blaxill about the book for Examiner.com. They make a strong case that the autism epidemic is very real, and more environmental than genetic. Olmsted, a reporter who has devoted his career to writing about autism, and Blaxill, the father of a daughter with autism, argue that autism is largely the result of mercury from pollution, commercial products, and vaccines. They investigated the backgrounds of some of the parents of the original children Leo Kanner identified in the late 1930s as having autism, and discovered that several of the parents had links to mercury in their backgrounds. Olmsted and Blaxill say the increase in autism tracks with the use of mercury as a preservative in vaccines (thimerosal), though they say they are not anti-vaccine, just pro-vaccine safety. Pollution is also a major factor in autism, say the authors, because coal emissions result in mercury that gets into the environment. They also write that spikes in schizophrenia and other diseases occurred since the Industrial Revolution, perhaps due to pollution. A couple of other interesting items – they theorize that Mozart may have died from accidental mercury poisoning as a treatment for syphilis. They also note that the Amish, who vaccinate much less frequently than the general population, have a significantly lower rate of autism. Obviously the theory that autism is linked to vaccines in some cases is controversial, but those who dismiss the theory outright should read the whole book before commenting on it. The authors make excellent arguments that the traditional idea that autism is mostly genetic cannot be true because of the huge increase in cases of autism, now one in 110 according to the CDC. Autism was unknown before the 1930s. Children with autism are often very poor at identifying, understanding, and regulating emotions. They are usually especially deficient in empathizing, or understanding that other people have emotions. Emotion coaching is an area that doesn’t get enough attention. The levels here are listed as beginner, intermediate, and advanced for simplicity. For kids who can’t read you can still read the books to them and break them down into simple terms. These books are great for neurotypical kids as well, of course. These books on emotions are different than ones on social stories or social skills. 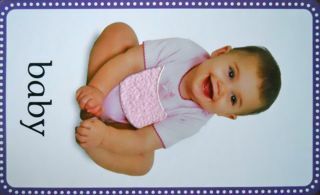 There are many excellent books on learning to share, having good manners, and being safe and careful. Those are all necessary and great but books on emotions take it a step further. British doctor Andrew Wakefield has lost the ability to practice medicine in the United Kingdom. The British General Medical Council ruled today that the doctor, who authored an infamous study in 1998 theorizing a potential link between the measles-mumps-rubella (MMR) vaccine and autism, had acted in a “dishonest”, “misleading” and “irresponsible” way. The ruling of professional misconduct comes the same day Wakefield’s new book is released. “The panel has determined that Dr Wakefield’s name should be erased from the medical register,” the GMC said in a statement. “Dr Wakefield’s continued lack of insight as to his misconduct serve only to satisfy the panel that suspension is not sufficient and that his actions are incompatible with his continued registration as a medical practitioner,” it said. The GMC found Wakefield guilty of serious professional misconduct in failing to release financial details of conflicts of interests related to his research, among other improprieties. The GMC case centered around Wakefield’s research methods but did not investigate the legitimacy of Wakefield’s findings. “Efforts to discredit and silence me through the GMC process have provided a screen to shield the government from exposure on the … MMR vaccine scandal,” Wakefield said. In Wakefield’s new book, “Callous Disregard: Autism and Vaccines: The Truth Behind a Tragedy,” he describes the MMR vaccine controversy and defends himself against charges that he acted dishonestly and irresponsibly in conducting research. The Washington Capitals shut out the New York Rangers 2-0 tonight at Verizon Center to get their team record 13th consecutive home win. Caps goaltender Jose Theodore made 30 saves to get his 29th career shutout and remain undefeated in his last 14 games (12-0-2). The Washington Capitals bolstered their lineup by acquiring two forwards and two defensemen in four separate trades before yesterday’s trading deadline. The Caps acquired defenseman Milan Jurcina from Columbus in exchange for a 2010 sixth-round conditional draft pick. Jurcina played parts of four seasons for the Caps before being traded to the Blue Jackets earlier this season. Jurcina is expected to have sports hernia surgery that will sideline him for four to six weeks.